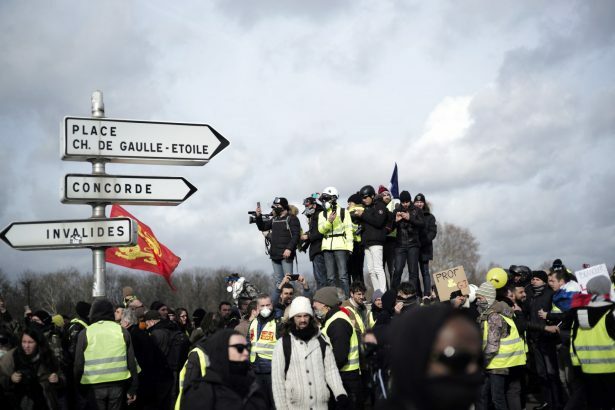 PARIS—A French yellow vest protester’s hand was ripped apart on Feb. 9, during violent clashes in Paris as demonstrators tried to storm the French National Assembly in a 13th consecutive week of unrest. 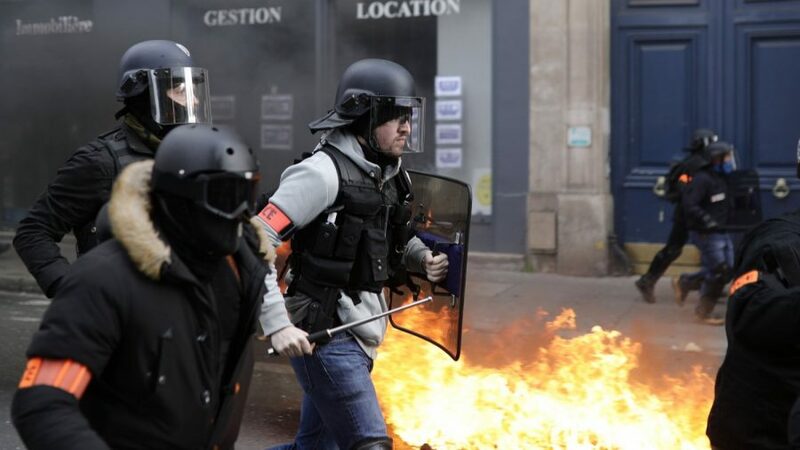 Police used batons and fired tear gas in Paris to disperse demonstrators, some of whom threw debris at riot police. 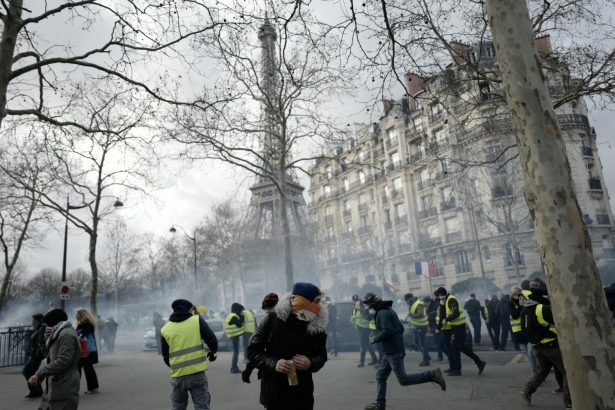 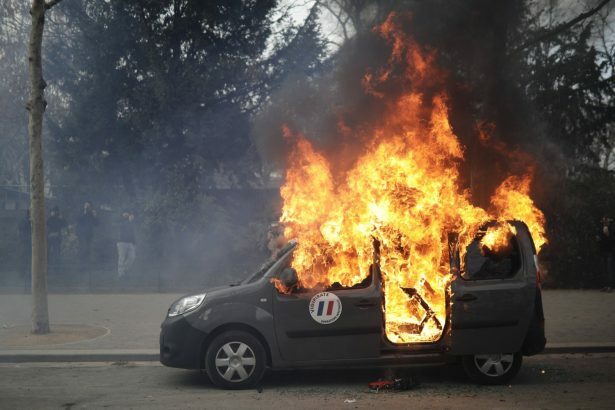 Cars, motorbikes, and trash bins were set ablaze as the protest moved toward the city’s Invalides monument and onto the Eiffel Tower. 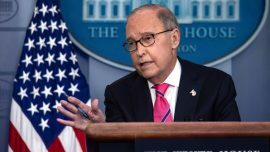 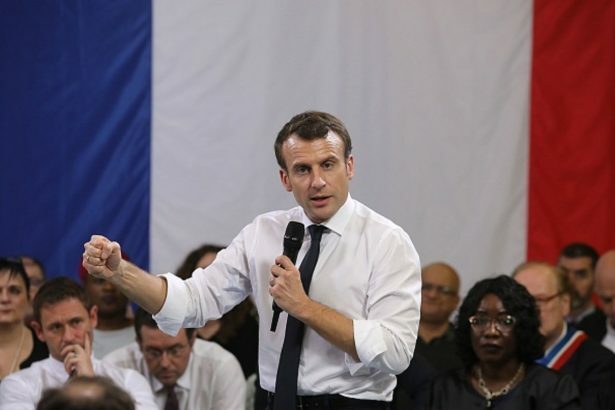 French President Emmanuel Macron—the target of many demonstrators’ anger—tried to claw back support from the public by addressing the movement’s anger with a national political debate on economic injustice.